France clenches World Cup, wildfire threatens Yosemite, Trump baby blimp debuts, and more. 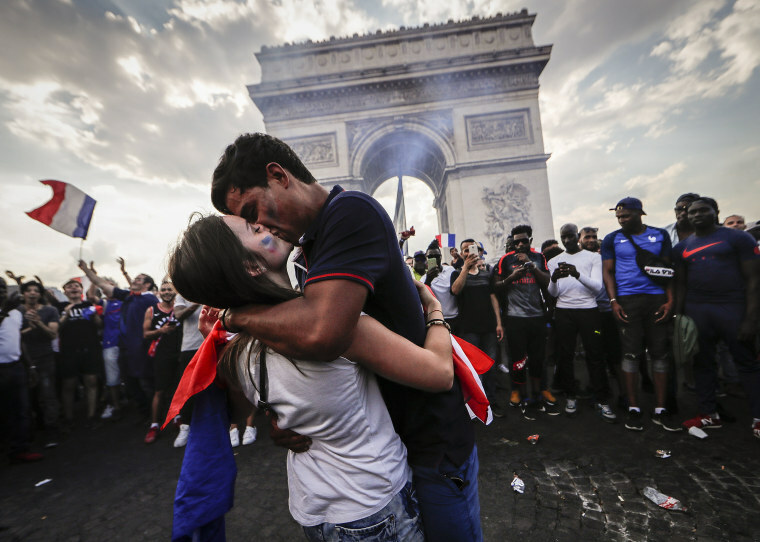 French supporters celebrate the country's World Cup title at the Arc de Triomphe in Paris on July 15, 2018. France defeated Croatia 4-2 to win the title on Sunday. Lava streams down the Anak Krakatau volcano as it erupts in South Lampung, Indonesia, on July 19. 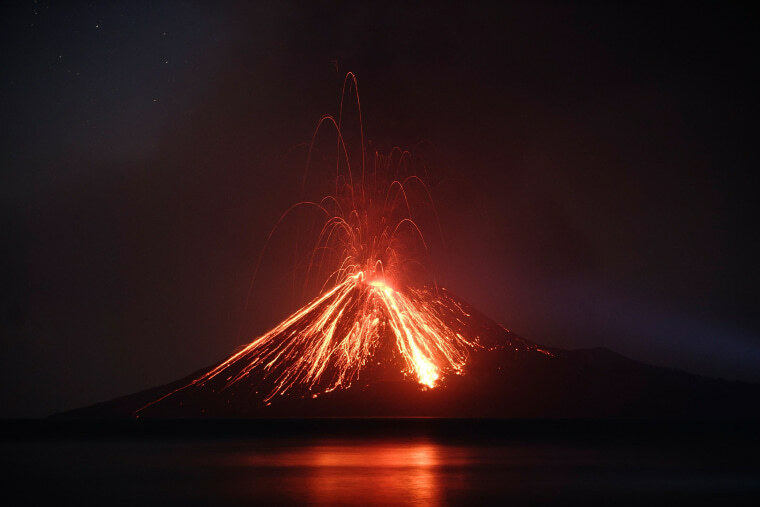 The volcano, known as the "child" of the legendary Krakatoa volcano, emerged from the ocean a half century after Krakatoa's deadly 1883 eruption. 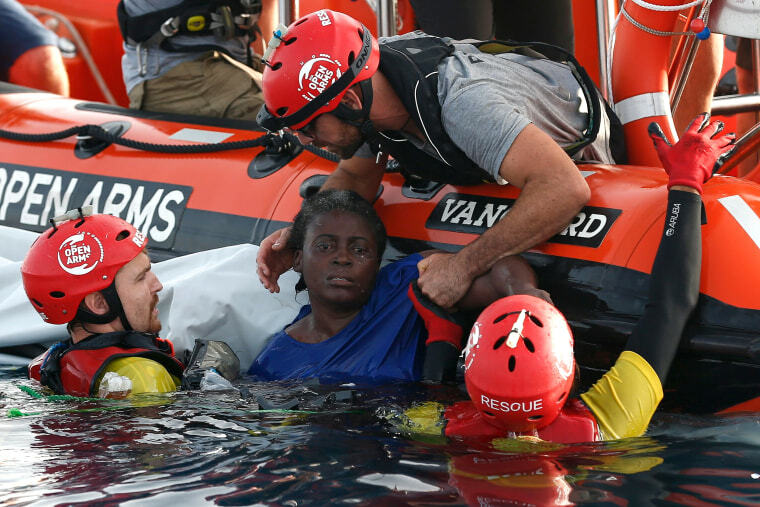 Members of the Proactiva Open Arms rescue a woman in the Mediterranean sea about 85 miles off the Libyan coast on July 17. The sea rescue charity took the lone survivor and the bodies of two dead migrants found at sea to Spain after clashing with Italy over what should be done with them. 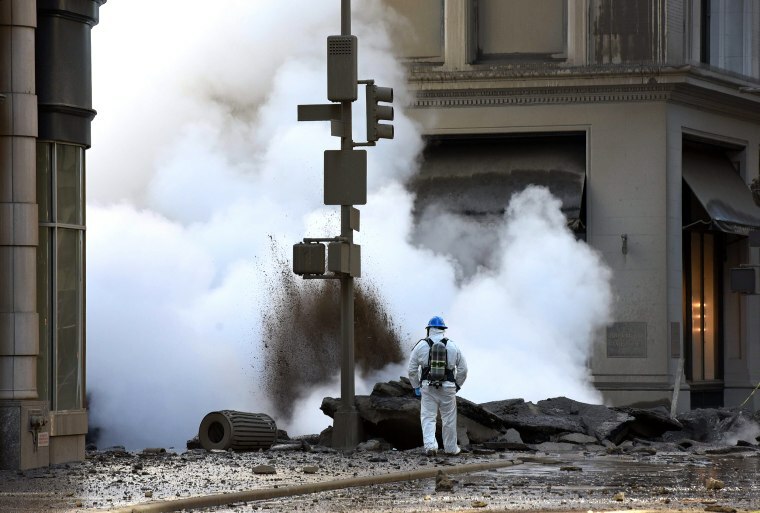 Steam rises after an aging pipe containing cancer-causing asbestos exploded beneath Fifth Avenue in New York early on July 19, spewing a geyser of white vapor 10 stories high and forcing an evacuation of 49 buildings. City officials said there was no major public health threat. President Donald Trump meets with Russian President Vladimir Putin in Helsinki, Finland, on July 16. 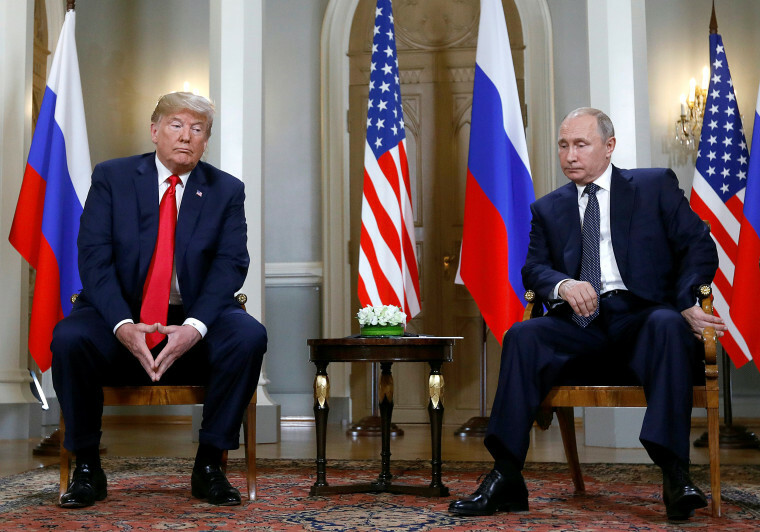 During a joint news conference, Trump appeared to question the findings of U.S. intelligence agencies that Russia interfered in the 2016 election. The president spent the rest of the week trying to manage the political fallout from his widely criticized performance at the summit. 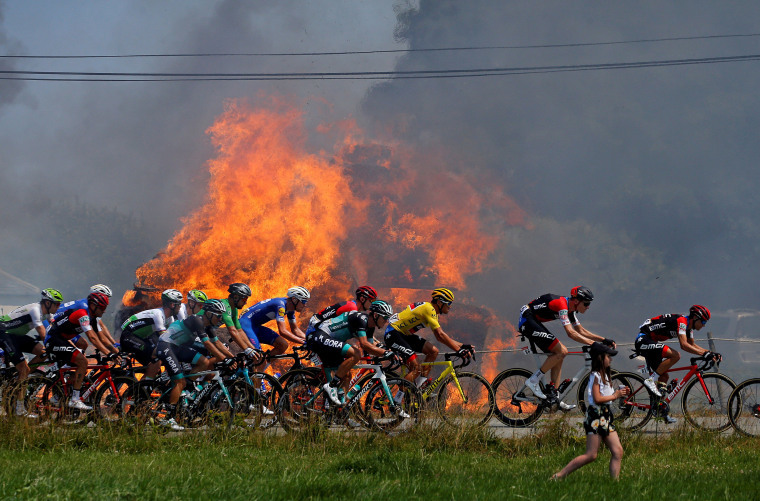 The Tour de France peloton passes hay bales on fire during the sixth stage of the race from Brest to Mur-de-Bretagne Guerleden, France, on July 12. 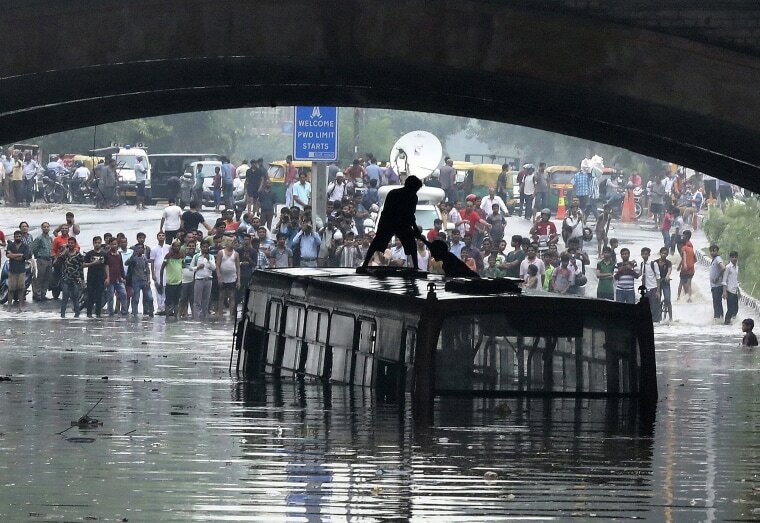 Men stand on a partially submerged bus after flooding from heavy rain in New Delhi on July 16. The Indian monsoon season takes place from June to September every year. 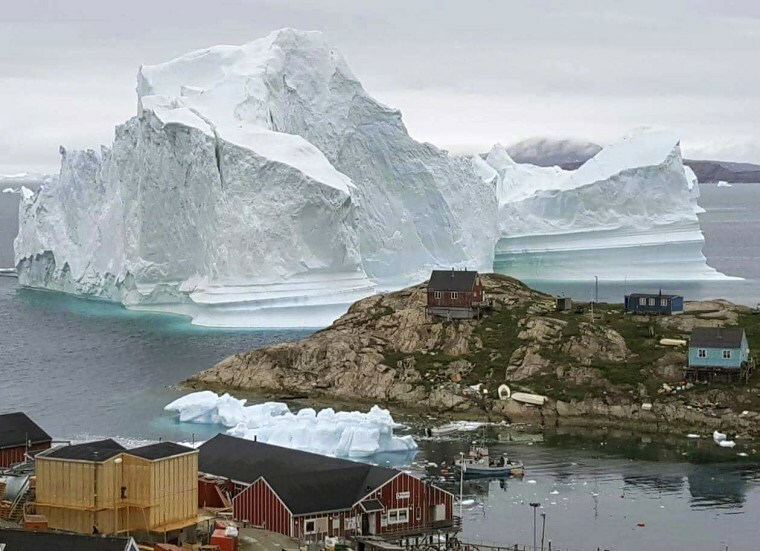 An iceberg near the village of Innarsuit, Greenland, on July 12, which forced residents to evacuate due to threats of flooding. The large iceberg was apparently grounded on the sea floor near the small village, which has a population of 169. 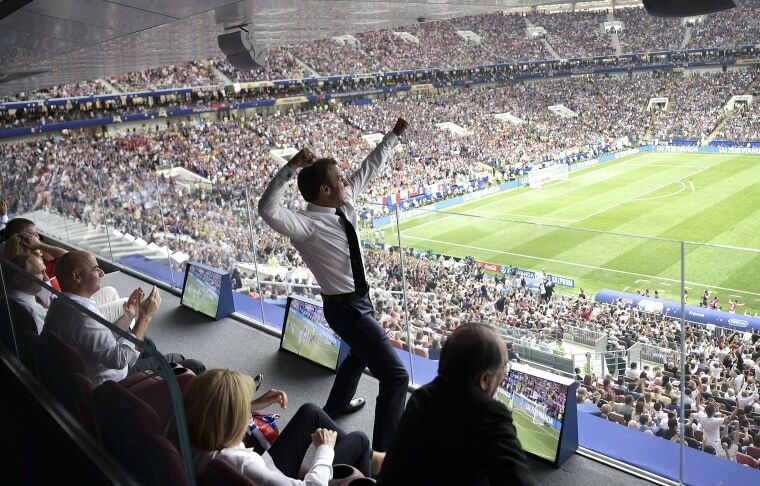 French President Emmanuel Macron cheers on France during the World Cup final against Croatia in Moscow on July 15. Les Bleus won the game to earn France its second World Cup title in 20 years. France's Ousmane Dembele, Presnel Kimpembe and Alphonse Areola celebrate winning the World Cup in Moscow on July 15. 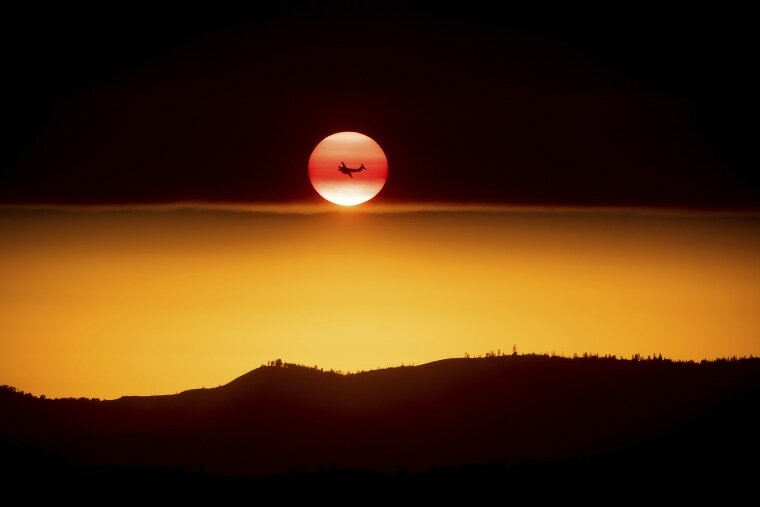 A plane battling a fire passes the setting sun in unincorporated Mariposa County California, near Yosemite National Park, on July 15. A deadly forest fire spread west of Yosemite National Park, keeping a key route into the park shut down during tourist season and forcing communities to evacuate. But the park's trails, campgrounds, restaurants and lodges remained open, though smoke polluted the air and limited visibility. More than 1,800 firefighters are battling the blaze that now spans 27 square miles. 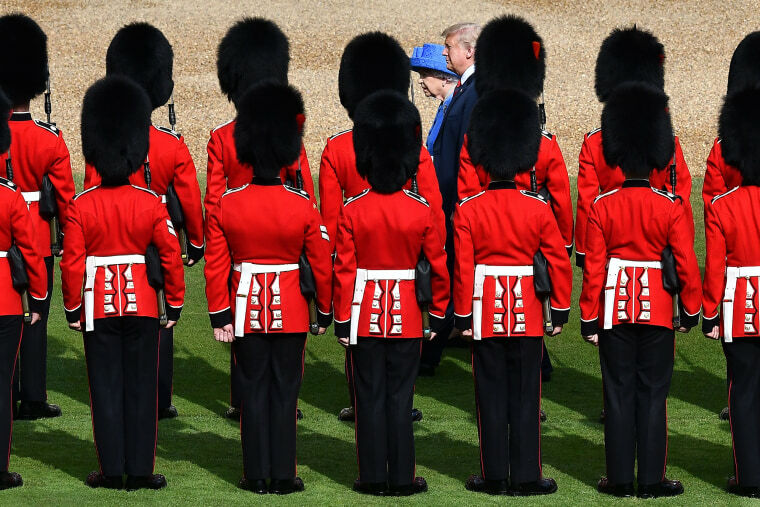 Queen Elizabeth II and President Donald Trump inspect an honor guard during a welcome ceremony at Windsor Castle in England on July 13. 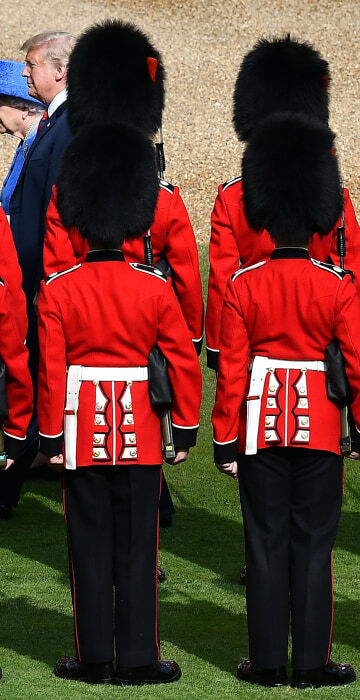 The monarch welcomed the American president in the courtyard of the royal castle before having tea inside. 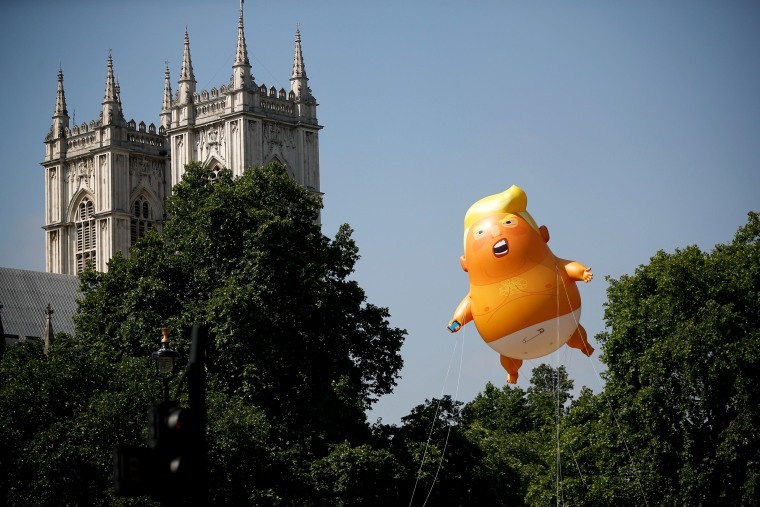 A blimp depicting President Donald Trump as an orange, snarling diaper-wearing baby flies outside the British parliament in London on July 13. Thousands of people waving banners and banging pots and pans took to the streets of London to protest against Trump on his first official visit to the United Kingdom as president. A man rides a bicycle through rubble in the Palestinian refugee camp of Yarmouk in the Syrian capital of Damascus on July 16, which government forces recaptured in May. 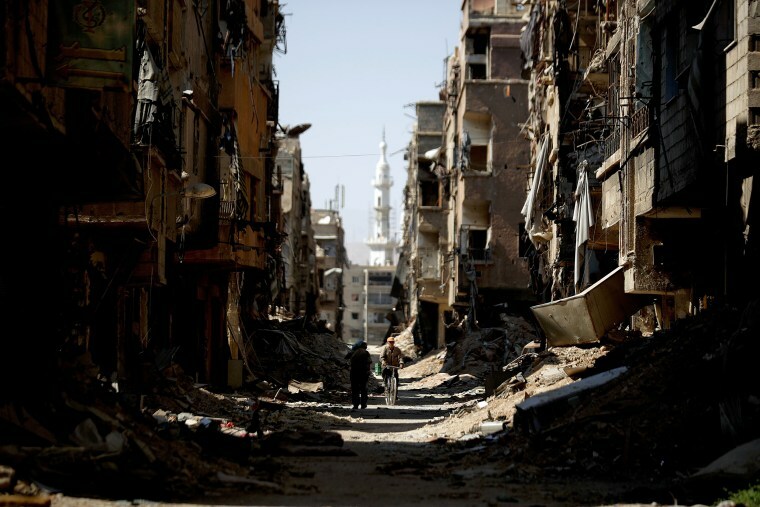 The Yarmouk camp, a built-up residential area once home to tens of thousands of Palestinians and Syrians, was held by ISIS and other insurgents for years, and saw heavy fighting. The camp, once home to 160,000 Palestinian refugees, now lies in ruins. 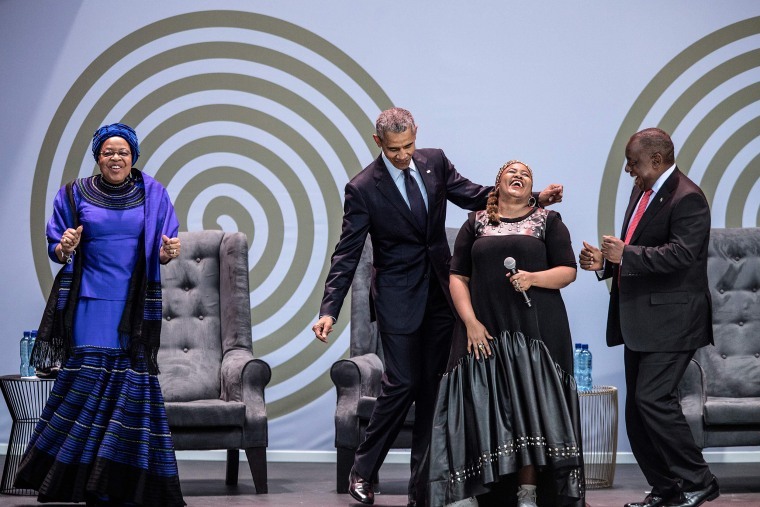 Nelson Mandela’s widow Graca Machel, former U.S. President Barack Obama and South African President Cyril Ramaphosa, right, dance as singer Thandiswa Mazwai performs at an event marking the 100th anniversary of the anti-apartheid leader’s birth, in Johannesburg on July 17. Obama delivered the Nelson Mandela Annual Lecture, urging young people to fight to defend democracy, human rights and peace, to a crowd of 15,000 people at the club as the centerpiece of the celebrations. 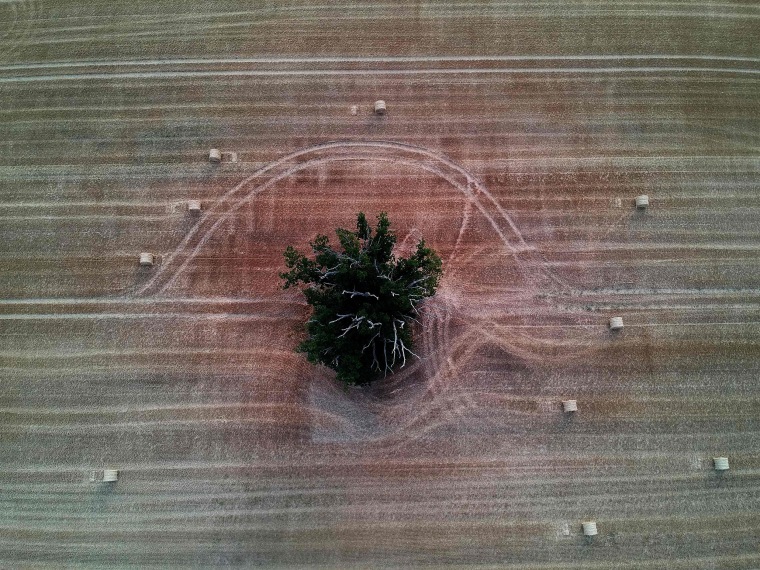 Haystacks in a field in Saint-Philbert-sur-Risle, France, on July 19. 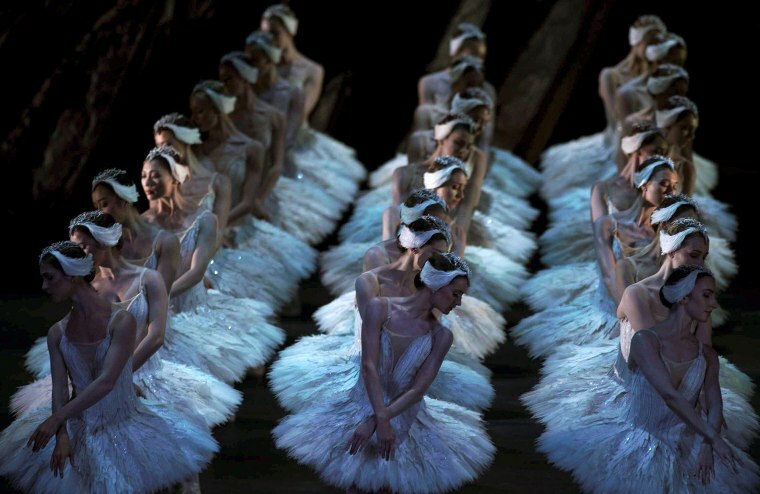 Dancers perform during the premiere of Swan's Lake from British choreographer Liam Scarlett at the Royal Theatre in Madrid on July 18. 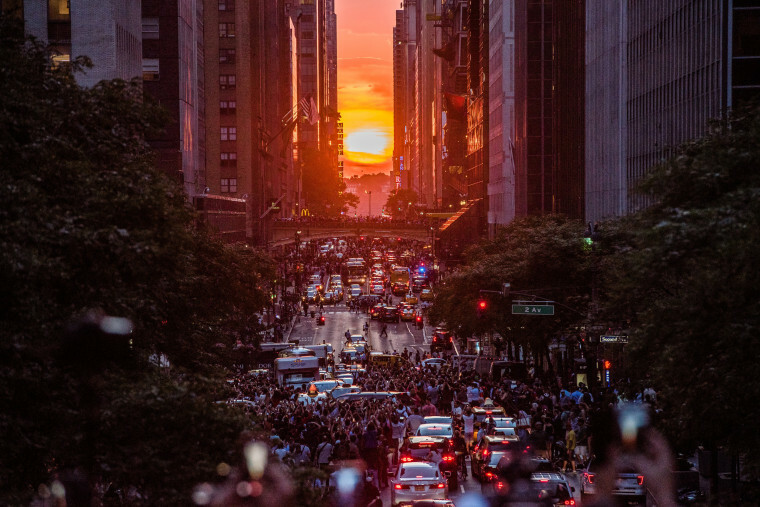 The sun sets along 42nd street, aligning with the New York street grid to create the Manhattanhenge phenomenon on July 12. Astrophysicist Neil deGrasse Tyson coined the term in a nod to Stonehenge, the prehistoric monument on England's Salisbury Plain.